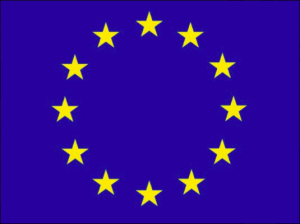 San Ramon (USA)/Munich (Germany), March 5th, 2019 – The EU is getting serious and applying the thumbscrews. Buildings are supposed to be CO2-neutral by 2050, and this will already lead to a number of stricter requirements in the coming years. The main focus lies on strengthening building automation. Maintenance-free wireless sensor solutions for smart buildings based on the international EnOcean wireless standard (ISO/IEC 14543-3-10) will help meet these requirements. The EPBD (Energy Performance of Buildings Directive) establishes requirements for buildings, which are to be implemented by EU member states under their national laws. In Germany, for example, this is the most recent EnEV (Energy Conservation Regulation) and the GEG (Building Energy Act) currently in preparation. The latest EPBD amendment took effect on May 30, 2018. It requires the CO2-neutral operation of buildings by 2050, with interim goals set for 2030 and 2040. For example, greenhouse gas emissions are supposed to be cut by 40% over 1990 level as early as 2030. This strict requirement is based on the view expressed in the EPBD that existing buildings in the EU are responsible for 36% of all CO2 emissions. Buildings thus play a key role in reaching the EU climate targets. The EPBD therefore requires the EU member states to establish guidelines, come up with measurable actions and provide subsidies. It also emphasizes that these measures apply to existing rental homes as well. The necessary legal and administrative regulations must be put into force by March 10, 2020. While the building shell and optimizing the building physics (insulation, heat bridges, etc.) tended to take center stage in recent years, the EPBD now explicitly focuses on technical installations and their regulation and control. It increases the importance of building automation and simultaneously imposes strict requirements. Maintenance-free wireless sensor solutions for smart buildings based on the international EnOcean wireless standard (ISO/IEC 14543-3-10) will make a crucial contribution toward meeting these requirements. « Installing self-regulating devices »: Control circuits require sensors. They have to be installed in the best places for recording the desired data. Radio-based and maintenance-free sensors can be used here systematically, flexibly and cost-neutrally over the long term. « Logging the actual energy performance » of heating and air-conditioning systems: This can be done only with intensive monitoring. A closely meshed network of wired sensors would mean a great deal of effort for laying cables and for the physical and electrical mounting of the sensors. Radio-based sensors can be planned and installed much more easily. « Smartness indicator »: Buildings need to become smart(er). The trend is toward recording far more measured values than before. To do this, sensor data supplies relevant information for IoT systems in real time. Even with the classic installation of pushbuttons, temperature sensors and motion detectors, chair sensors are already providing information on occupancy. Toilet stalls can be maintained and cleaned according to use, based on sensor data. Clear requirements on the type and position of these sensors do not yet exist. Flexibility and the ability to change locations are thus key criteria on the way to sustainably smart buildings. The EnOcean Alliance is a global network of more than 400 companies in the building sector. It develops innovative, maintenance-free wireless solutions for sustainable building automation based on the EnOcean wireless standard (ISO/IEC 14543-3-10). More than one million buildings all over the world now have wireless networks of this type, making EnOcean the international reference technology when it comes to wireless standards for building automation. The EnOcean ecosystem of self-powered wireless sensor solutions currently consists of 5,000 product variants that build on 1,500 basic products, with new ones being added all the time. Thanks to their standardized sensor profiles, the products can be combined with each other. These interoperable system solutions lower installation and maintenance costs and provide significant benefits when it comes to energy efficiency, security and comfort. The data obtained with the aid of self-powered wireless sensors can also be integrated into IoT solutions for the cloud, smartphones and tablets. San Ramon, CA, USA – February 27, 2019 – Epishine, a Swedish developer and manufacturer of organic thin film solar cells, has joined the EnOcean Alliance. Striving to accelerate the adoption of maintenance-free, energy-efficient devices and systems for intelligent buildings and IoT, Epishine fully supports the EnOcean Alliance’s mission. “It’s great for Epishine that there is a group like EnOcean Alliance, gathering companies interested in solutions for truly wireless devices. We think that our organic solar cells, with their high indoor efficiency and form-factor freedom can enable even more devices to be powered by energy harvesting. We look forward to be an active member in this community, and together with other members enable battery-free IoT”, said Mattias Josephson, CEO of Epishine. Nearly 400 companies worldwide are members of the EnOcean Alliance. 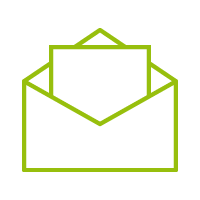 They offer over 5000 interoperable products variants based on the EnOcean wireless standard for energy-efficient, resource-saving buildings. The companies develop and market quality-based automation and control systems integrating the EnOcean energy harvesting wireless standard. The technology enables control products with the highest flexibility, reliable performance and the unique advantage of a green technology that can eliminate hazardous battery waste. Leading companies worldwide from the building sector formed the EnOcean Alliance to establish innovative maintenance-free wireless solutions for the Internet of Things, which are used for automation solutions for sustainable building projects – making buildings more energy-efficient, more flexible and more cost effective. The core technology of the Alliance is energy harvesting wireless technology for flexibly positioned and service-free sensor solutions. The EnOcean Alliance aims to internationalize the energy harvesting wireless technology, and is dedicated to creating interoperability between the products of OEM partners. Basis for this is the international standard ISO/IEC 14543-3-10, which is optimized for wireless solutions with ultra-low power consumption and energy harvesting. More than 400 companies currently belong to the EnOcean Alliance. The headquarters of the non-profit organization is located in San Ramon, California. At Booth #C5023 the international organization will be presenting maintenance-free wireless solutions based on the EnOcean wireless standard, creating a network for the integrated control of intelligent buildings based on the seamless integration of self-powered sensors and switches with local controls, gateways and building management systems. 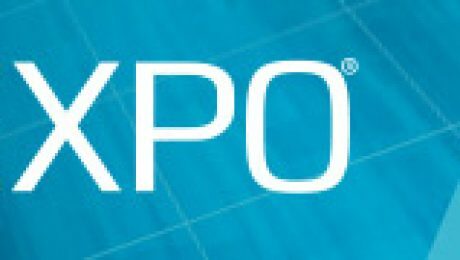 San Ramon, CA/Atlanta, GA – December 18th, 2018 – The AHR Expo is the world’s largest HVACR event, attracting the most comprehensive gathering of industry professionals from around the globe each year. From January 14-16, the EnOcean Alliance will demonstrate the benefits of the interoperable EnOcean ecosystem for integrated building control and self-powered Internet of Things (IoT) at the AHR Expo 2019 in Atlanta. At Booth #C5023, the EnOcean Alliance presents a complete automation system based on the open EnOcean energy harvesting wireless standard (ISO/IEC 14543-3-1x). It will include all necessary maintenance-free, wireless components for intelligent lighting and HVAC control as well as energy management. The EnOcean Alliance offers the advantages of an extensive and established ecosystem of interoperable self-powered wireless sensor solutions that are available to intelligent buildings worldwide. These solutions help optimize the utilization of buildings, create new service models and make buildings more flexible, energy-efficient and altogether more cost-effective. EnOcean wireless networks have been installed in more than 1,000,000 buildings worldwide, making it the most widespread and most field-tested wireless building automation standard in the world. The Internet of Things adds new dimensions to classic building automation by transmitting sensor data to cloud-based IT platforms that link the data with other information available on the internet and smart data analysis tools. “Automation is a key factor in the sustainable use of buildings. Our practical experience shows that the possibilities are far from exhausted here. In addition to energy efficiency – and associated cost savings – another aspect is crucial to us: comfort. The automatic, data-based control of air quality, light and noise levels makes offices more comfortable spaces for the people working there. Not only do they feel more comfortable, they are also more productive. US corporations reported a 15% rise in productivity whereas absenteeism dropped by 15%. Self-powered wireless sensor solutions based on the EnOcean standard are perfectly suited to generate reliable sensor data for building optimization while at the same time simplifying installation and increasing flexibility and efficiency”, says Graham Martin, CEO and Chairman of the EnOcean Alliance. At Booth #C5023 the EnOcean Alliance will be showing examples of self-powered wireless solutions from EnOcean Alliance members such as AdHoc Electronics/Illumra, Echoflex, EnOcean, Mecho Systems, Molex, OBX and Digital Concepts. AirTest Technologies Inc. (#C5400), BACnet (#C5362), Belimo (#C5141), CABA (#C5362), Contemporary Controls (#C5218), Delta Controls Inc. (#C5307), Distech Controls (#C5339), Emerson (#B2219), Functional Devices Inc. (#C5125), Gas Sensing Solutions (#C5366), KMC Controls, Inc. (#C5324), LonMark International (#C5020), Loytec (#C5307), Reliable Controls (#C5028), Schneider Electric (#C6643), Spartan Peripheral Devices (#C5130), Titus (#B1829), Viconics Technologies (#C5041) and WAGO Corporation (#C5434). 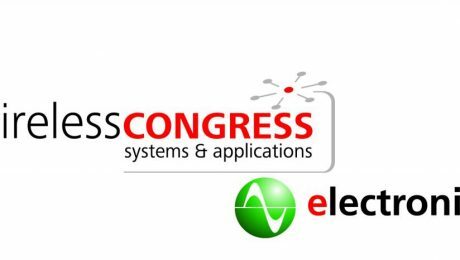 In 2004 the Wireless Congress: Systems & Applications started in parallel to the electronica in Munich. Today the Wireless Congress: Systems & Aplications is one of the major meeting places for the wireless community, providing the well-established platform for wireless professionals – researcher, developer and application engineers – and the forum of excellence for the exchange of knowledge and experience. San Ramon, CA – October 31, 2018 – Celebrating it’s 15th anniversary, the Wireless Congress (November 14-15, 2018) will look ahead to new wireless technologies, like 5G and intelligent tactile systems and the application practice of advances wireless systems, like Low Power Wide Area Networks, Bluetooth mesh, EnOcean Energy Harvesting Wireless Solutions etc. Today, wireless professionals can choose the best fitting wireless technology for their application from a cornucopia of competing or complementary wireless technologies. But they have to balance cost, complexity, performance, reliability, and quality of service in real world environments. Graham Martin (Alliance Chairman & CEO) – presenting Energy Harvesting Solutions for Low Power Wide Area Network. Marian Hoensch (Alliance Technical Task Group Chairman) – presenting New Developments in Advanced Security for Energy Harvesting Wireless Systems. Also in the energy harvesting session EnOcean GmbH, ZHAW, Ubisys, FH Offenburg and FHG will be presenting the latest developments in Energy Harvesting Wireless Solutions. Click here for more details of the program. Co-located with electronica 2018 (November 13 – 16, 2018), the electronica fair in Munich is the world’s leading trade fair and conference for components, systems and applications and solutions make new developments such as smart homes and connected cars possible in the first place. In 2016 electronica covered 13 halls with 2,913 exhibitors and 73,451 visitors from 84 countries. electronica is bigger than ever before, and (along with its co-located events SEMICON Europa and Wireless Congress) will fill 17 halls for the first time. Come and visit EnOcean Alliance stand together with HY-LINE and EnOcean at Hall C3 Booth W23. The EnOcean Alliance together with over 25 members and partners will be exhibiting self-powered wireless solutions for smart and cognitive buildings based on the EnOcean wireless standard and the R2S (Ready2Services) specification from the Smart Building Alliance (SBA). San Ramon, CA – October 31, 2018 – The 9th edition of Intelligent Building System (IBS) 2018 (Paris, November 6-7, 2018) with a theme SMART BUILDING: Ready 4 a Better Life is an event that has to be visited. The exhibition will have around 200 exhibitors and more than 7000 visitors from the building professional community will attend. 15 partners will exhibit at the EnOcean Alliance/ SBA booth #D29-34 and additional further 10 members will have their own booth at the event promoting the standard. The member companies will showcase interoperable solutions highlighting the benefits of digitalization across all areas within a building automation system such as intelligent lighting and HVAC control as well as energy management. EnOcean Alliance is giving a seminar « The IoT radio standard for cognitive, flexible and multi-purpose buildings » at the event on November 7th, 2018 start at 12 o’clock, showing the technology and latest developments and deployments: 21st-century building must be multi-use, hybrid, modular and replicable. The reconfiguration of spaces to be almost instantaneous. To meet this demand, it is imperative to overcome all wiring in the walls and have completely modular sensors and transmitters. This induces wireless solutions and ideally without a battery because even with autonomy close to 10 years for some sensors it is just inconceivable to anticipate changing a billion batteries in buildings. Interoperability and security are also key criteria. As many criteria, the EnOcean standard knows perfectly meet. Introducing the technology ecosystem and case study in residential buildings, offices, hotels, etc. Real Estate and facility manager companies are changing towards data-driven service models. EnOcean Alliance solutions can offer the greatest flexibility and lowest lifetime cost by combining the ease to install wireless solutions with maintenance-free operations, using energy harvesting technologies. In addition, the EnOcean Alliance offers the advantages of an extensive and established ecosystem of interoperable energy harvesting wireless sensor solutions that are available to intelligent buildings worldwide. These solutions help optimize the utilization of buildings, create new service models and make buildings more flexible, energy-efficient and altogether more cost-effective. Installations using EnOcean batteryless wireless standard are rapidly expanding in France, with key construction companies such as Bouygues mass adopting the technology, local government specifying for commercial buildings and social housing and with Leroy Merlin offering in all of its DIY stores. Breaking down the barriers of isolated applications, the interoperable EnOcean Alliance ecosystem of more than 400 member companies over 1,500 products offer integrated systems that connect several building applications and at the same time collect raw sensor data to build innovative cloud-based services. Despite the huge improvements already realized, there is still huge scope for building automation to drive efficiency in building use. The majority of offices are only 60%-70% occupied during a working day and the majority of Real Estate is used less than 50% of the time. Digitalization is the key for buildings worldwide, helping facility managers to increase comfort, productivity, and efficiency of the building. The Internet of Things adds new dimensions to classic building automation by transmitting sensor data to cloud-based IT platforms that link the data with other information available on the Internet and smart data analysis tools. Self-powered wireless sensor solutions based on the EnOcean wireless standard (ISO/IEC 14543-3-1X) introduced by the EnOcean Alliance, are perfectly suited to generate reliable sensor data, further enhancing the energy performance of buildings and driving a digital transition in buildings forward. This will result in innovative solutions and new service models evolving as well as bringing up new chances for building owners, insurance companies, facility managers and users. In terms of digitalization of buildings, self-powered wireless solutions are essential to connect all areas within a building automation system, while at the same time simplifying installation and increasing flexibility and efficiency. Generating a large amount of reliable data and using it for building optimization, provides Real Estate and Facility Management companies with maintenance-free solutions to unlock the full potential of intelligent buildings and offer a better service to their customers. This new edition of IBS is part of a process of reflection and exchanges to promote a European vision of Energy and Building Management Building « resilient, inclusive and connected » through a comprehensive range of services to occupiers. Furthermore, the opportunity to accelerate the development in the field of Smart Building being identified as a major player in this fast-growing sector. Le label Ready2Services a été officiellement lancé par la Smart Buildings Alliance à Paris en juin 2018 afin de soutenir la mise en place Smart Building dans la Smart City. Les solutions de capteurs sans fil auto-alimentés et l’écosystème EnOcean permettant leur interopérabilité sont des composants essentiels pour donner naissance à des modèles de service qui sont à la fois nouveaux et novateurs. 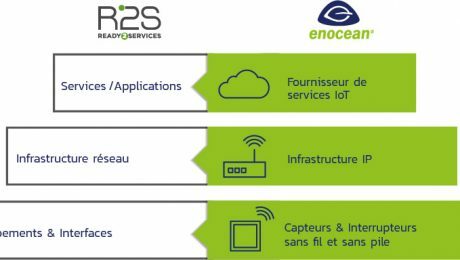 San Ramon, Californie – 19 juillet 2018 – Pour optimiser la performance énergétique des immeubles et faire progresser la transition numérique dans les immeubles, la Smart Buildings Alliance (SBA) a officiellement lancé son initiative « Ready2Services » en juin 2018. Le concept « Ready2Services » a pour objet d’évaluer la capacité des immeubles à permettre la mise en place de services multiples, de leur accorder un certain niveau de certification tout en créant la base nécessaire à la mise en œuvre de nouveaux modèles de services. Les solutions de capteurs sans fil et sans pile constituent un élément-clé de cette initiative. Ces solutions ne nécessitant aucune maintenance recueillent des données fiables et leur configuration extensible à tout moment favorise donc la digitalisation des immeubles et la mise en place de services innovants. Étant donné que l’interopérabilité et les normes ouvertes jouent un rôle essentiel dans la digitalisation des immeubles, l’alliance EnOCean est une composante capitale de l’initiative « Ready2Services » avec son vaste écosystème de dispositifs interopérables qui appliquent la norme sans fil EnOcean (ISO/CEI 14543-3-1X). La démarche « Ready2Services » sera présentée lors des Universités d’Été Smart Buildings for Smart Cities, organisées par la SBA, l’Alliance EnOcean et la Fédération Française de Domotique (FFD). Ces universités se dérouleront à Lyon du 5 au 6 septembre 2018. « L’Alliance EnOcean est un pionnière dans l’offre de solutions éco-énergétiques et dans sa contribution active à la transition d’immeubles intelligents en immeubles cognitifs. Nous proposons un écosystème éprouvé dans lequel des capteurs sans fil et sans pile et des solutions ayant fait leurs preuves sur le terrain s’intègrent à chaque couche du concept « Ready2Services » et constituent des solutions ne nécessitant aucune maintenance pendant des dizaines d’années. Par conséquent, la norme sans fil et sans pile EnOcean est le choix parfait pour cette norme Ready2Services applicable aux immeubles intelligents », déclare Graham Martin, PDG d’EnOcean Alliance. Pour de plus amples informations, vous trouverez ici le programme des Universités d’Été Smart Buildings for Smart Cities. Des entreprises du monde entier, leaders dans le secteur du bâtiment, se sont regroupées pour former l’Alliance EnOcean et mettre en place des solutions d’automatisation innovantes dédiées à des projets de construction durable en rendant les bâtiments plus efficace en terme d’énergie, plus flexibles et moins coûteux. La technologie clé de l’Alliance est la technologie radio sans pile ne nécessitant aucune maintenance et offrant une grande liberté de positionnement pour toutes les solutions de capteurs qui en sont équipées. L’Alliance s’est fixé pour objectif de standardiser cette technologie radio sans pile, de l’internationaliser et d’assurer l’interopérabilité des produits des différents partenaires OEM. Elle se base pour cela sur la norme internationale ISO/IEC 14543-3-1X, optimisée pour les applications radio ultra basse consommation et à récolte d’énergie (Energy Harvesting). Plus de 400 entreprises font actuellement partie de l’Alliance EnOcean. Le siège principal de l’organisation, à but non lucratif, est à San Ramon, en Californie. Vous trouverez de plus amples informations sur www.enocean-alliance.org. Together with three member companies, the organization will be presenting the advantages of an interoperable eco-system of maintenance-free sensor solutions based on the EnOcean wireless standard for professional automation of commercial buildings. San Ramon, CA, USA/Las Vegas, NV, USA – May 9, 2018 – At the Realcomm/IBcon 2018 (Las Vegas, June 6-7, 2018), the EnOcean Alliance together with three of its members will demonstrate how self-powered wireless sensor solutions will help to advance the digitalization of buildings worldwide. At the EnOcean Alliance booth #2017, the member companies EnOcean with its product brand Dolphin, Molex and Titus will showcase interoperable solutions highlighting the benefits of digitalization across all areas within a building automation system such as intelligent lighting and HVAC control as well as energy management. Real Estate and facility manager companies are changing towards data-driven service models. EnOcean Alliance solutions can offer the greatest flexibility and lowest lifetime cost by combining the ease to install wireless solutions with maintenance free operations, using energy harvesting technologies. In addition, the EnOcean Alliance offers the advantages of an extensive and established ecosystem of interoperable energy harvesting wireless sensor solutions that are available to intelligent buildings worldwide. These solutions help optimize the utilization of buildings, create new service models and make buildings more flexible, energy-efficient and altogether more cost-effective. Breaking down the barriers of isolated applications, the interoperable EnOcean Alliance ecosystem of more than 400 member companies and over 1,500 products offer integrated systems that connect several building applications and at the same time collects raw sensor data to build innovative cloud based services. Despite the huge improvements already realized, there is still huge scope for building automation to drive efficiency in building use. The majority of offices are only 60%-70% occupied during a working day and the majority of Real Estate is used less than 50% of the time. Digitalization is the key for buildings worldwide, helping facility managers to increase comfort, productivity and efficiency of the building. The Internet of Things adds new dimensions to classic building automation by transmitting sensor data to cloud-based IT platforms that link the data with other information available on the Internet and smart data analysis tools. Self-powered wireless sensor solutions based on the EnOcean wireless standard (ISO/IEC 14543-3-1X) introduced by the EnOcean Alliance, are perfectly suited to generate reliable sensor data, further enhancing the energy performance of buildings and driving digital transition in buildings forward. This will result in innovative solutions and new service models evolving as well as bringing up new chances for building owners, insurance companies, facility managers and users. “In terms of digitalization of buildings, self-powered wireless solutions are essential to connect all areas within a building automation system, while at the same time simplifying installation and increasing flexibility and efficiency. Generating a large amount of reliable data and using it for building optimization, provides Real Estate and Facility Management companies with maintenance-free solutions to unlock the full potential of intelligent buildings and offer a better service to their customers. 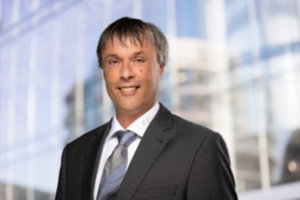 Attending Realcomm/IBcon together with partners from the EnOcean Alliance is a great opportunity to showcase the benefits of the proven EnOcean ecosystem in driving the digital transition of buildings forward,” says Hajo Siemers, Vice Chairman EnOcean Alliance. The company EnOcean will be showcasing its Dolphin product portfolio, including kinetic and solar powered wireless modules that allow product manufacturers and service companies to develop reliable and maintenance-free wireless sensor solutions for global use in building automation, smart homes, LED light control and industrial applications. EnOcean’s ultra low power system architecture combined with smart energy harvesters and high performance radio technology is the perfect basis for reliable sensor data driving IoT solutions in buildings. With its extensive range of wireless modules, white label products and advisory services for building automation, EnOcean is the ideal partner for Internet of Things (IoT) product, solution and service providers. Molex, an expert in digital lighting and IoT, will be presenting their Transcend Network Connected Lighting System. Transcend is a complete, robust system comprising Cisco® networking technology, enabling a secure network communication via a low voltage IP infrastructure to distribute power and data to lighting, sensors and other devices locally. Together, these components enable secure, seamless transmission of data and power over IP and superior control over lighting systems. At the heart of the Transcend system, the PoE Gateway distributes power and connects luminaries, sensors and other devices to the software manager. The integration of EnOcean wireless technology combined with the sustainable principle of energy harvesting into Transcend Ethernet-based POE network connected infrastructure offers new possibilities for efficient smart building implementations in a variety of applications. Titus is an expert in developing innovative HVAC solutions and will be showcasing their new line of energy-harvesting VAV diffusers. The Titus HELIOS is a wireless digital variable air volume (VAV) diffuser, providing ventilation for indoor spaces to elevate occupant comfort and improve indoor air quality. The HVACR industry’s first digital diffuser powered by ambient light, HELIOS requires no special wiring or ductwork, therefore being easy to install and to retrofit, and providing notable energy savings. It can be used for various applications for intelligent buildings – including offices, healthcare and educational environments. HELIOS provides highly efficient, industry leading technology for promoting a healthy indoor environment and was awarded with the 2017 AHR Expo Innovation Award in the category ventilation. Belimo (#1719), Delta Controls (#1511), Distech Controls (#701), Dolphin by EnOcean (#2017), KMC Controls (#219), Molex (#2017), Reliable Controls (#1915), Titus (#2017) and Tridium (#205). Together with 60 member companies, the organization will be presenting the advantages of an interoperable eco-system of maintenance-free sensor solutions based on the EnOcean wireless standard for professional automation of commercial buildings to the smart home. San Ramon, CA/Frankfurt a. M., Germany, February 22, 2018 – „Connected – Secure – Convenient“, is the guiding theme of the Light + Building show 2018 (March 18-23, 2018, Frankfurt a. Main, Germany). At Booth B60 in Hall 9.1, the EnOcean Alliance, along with 15 of its members, presents energy harvesting wireless solutions for building automation and the Smart Home. The self-powered switches and sensors based on EnOcean technology offer flexibility in terms of positioning, can be expanded at any time and are maintenance-free. In addition, the EnOcean Alliance also offers the advantages of an extensive and established ecosystem of interoperable energy harvesting wireless sensor solutions that are available to intelligent buildings worldwide. In conjunction with cloud-based platforms such as IBM Watson IoT or Apple® HomeKit™, generated data can be used for intelligent device and building control, for example, to optimize facility management, but also to realize completely new services in the area of building use. These solutions help optimize the utilization of buildings, create new service models and make buildings more flexible, energy-efficient and altogether more cost-effective. The following 15 companies will be exhibiting at the community stand of the EnOcean Alliance: AFRISO, BECKER-Antriebe, BSC Computer (Promoter), Decelect, Digital Concepts (Promoter), Dolphin by EnOcean (Promoter), Micropelt, GRE Alpha, Helvar, JÄGER DIREKT, NodOn, Omnio®, PM DM, Thermokon Sensortechnik und ViCOS (Promoter). In total, more than 60 exhibitors will be showcasing EnOcean-based solutions at the trade show. The EnOcean Alliance, which has more than 400 members, is one of the most successful alliances in the area of intelligent building control. The non-profit organization has defined standardized application profiles as one of its main objectives, so that EnOcean-based products of different manufacturers can work together seamlessly. Users can thus network systems and disciplines more easily and add applications at any time. Thanks to a comprehensive and interoperable ecosystem of maintenance-free wireless sensor solutions based on the EnOcean wireless standard, the EnOcean Alliance enables new applications in building automation such as intelligent asset management. In the context of room climate data (temperature, CO2, humidity) and presence data, room sensors provide detailed information on how to actually use the building’s space and enable cost-effective space planning. To monitor buildings also plays an important role for insurance companies. In the event of floodings, fire or burglary, sensors provide real-time data and information needed to alert the owner and the insurance company. Serious consequences and costly incidents can be identified early enough and resolved accordingly. The operation of sanitary facilities is greatly facilitated if sensors monitor the sanitary area and the use of the toilets is communicated by door contact. In industry, for example, sensors can be used for quality and process monitoring or condition-based maintenance. With the help of current sensors, for example, the condition of an engine can be detected, and via temperature sensors, the condition of transmissions and brakes. For this purpose, the current or temperature profile is continuously analyzed, which change with increasing equipment wear. Using suitable algorithms, the necessary device maintenance can then be carried out according to requirements and on time. Through the partnership with the organization Open Connectivity Foundation (OCF) and IBM, as well as with new promoters such as Digital Concepts and ViCOS, the EnOcean Alliance has significantly strengthened its program for building automation and the Internet of Things. Together, they will provide sensor information in the cloud and develop self-powered wireless solutions as open standard for maintenance-free solutions to be used in cognitive buildings and to build an interoperable network beyond the boundaries of one’s own eco-system. Omnio® – Intelligent building automation: The wireless Omnio® bus system by AWAG Elektrotechnik AG facilitates controlling the lighting, shading and heating areas in the entire building in the simplest way. The system does not require a central control unit and is therefore extremely robust, flexible and expandable. The battery-free sensors and actuators are based on the proven energy harvesting technology and use the EnOcean wireless standard for transmission. Due to their wide range of functions, the Omnio® REG actuators cover an enormous application spectrum. They are used as a cost-effective alternative to wired bus systems, such as KNX, wherever all loads in the control cabinet are wired, for example in commercial buildings, single family homes/apartment buildings as well as condominiums and rented apartments. In the event of reduced radio reception in the control cabinet, the radio range can be extended bidirectionally via wired outstations, even over many floors. Thanks to the innovative ARCO technology, users can configurate the actuators manually or wirelessly with ease, using the “E-Tool” software, or they can purchase a preconfigured solution. Thermokon – Home of Sensor Technology: Thermokon has stood for the development and manufacture of sensors and sensor systems for building automation and HVAC technology for over 30 years. At the Light + Building 2018, among other things, Thermokon will present the self-powered and wireless EasySens® system for flexible and energy-efficient building automation. The EasySens® show highlight is the EasySens® Tool Box. It includes airScan, a field strength measuring system for planning and implementing building projects without complications, as well as airConfig, a tool that allows for parametrization without direct interaction with the particular device from the EasySens® device. Other highlights presented at the trade show are the new room climate and fan coil controllers from the « Joy » series as well as a large number of other design-oriented room operating units for controlling the room climate. Additionally, sensor solutions for a wide variety of applications and for measuring a range of values such as temperature, humidity, CO2, pressure, flow, brightness or motion will be shown (also at Booth C56 in Hall 9.1). AFRISO – AFRISO Smart Home for intelligent buildings: AFRISO presents its product range AFRISO Smart Home for building protection, comfort and room climate. The overall solution includes different sensors, such as a water leakage and temperature sensor, and actuators as well as the multi-protocol AFRISOhome Gateway HG 01. The gateway seamlessly connects energy harvesting wireless solutions with other building standards. The new interior room siren AIS 10 PRO completes the system and provides effec-tive all-round protection for break-in and hazard detection. With AFRISO Smart Home, users can easily enter the connected world of building automation and security technology, plan these systems individually and add more modules to them as desired – even improving energy efficiency and creating a pleasant living and working environment. The free AFRISOhome app (iOS and Android) enables users to display sensor data, switch actuators and individually automate functions motion (also at Booth B25 in Hall 10.2). BSC Computer – seamless, interoperable connectivity for the IoT: BSC Computer will present its portfolio of OEM solutions for comprehensive connectivity in the Smart Home, building automation and industrial applications. These include individually scalable gateways based on the flexible BSC API. They connect self-powered wireless sensors and ac-tuators with the Internet for the central control of heating/air-conditioning/ventilation, lights and other smart home applications. The BSC API also enables manufacturers to develop individual apps for running functions from a Smartphone or tablet. To ensure maximum reliability and comprehensive data security, BSC uses the latest embedded hardware from Intel for its gate-ways, together with the associated operating system based on the Intel Industrial Solutions System Consolidation Series. As a platinum member of the OCF, BSC Computer is spearheading the efforts to create the multi-standard interoperable eco-system for IoT applications such as smart homes. The gateway solution from BSC Computer enables seamless communication in the IoT by connecting the EnOcean wireless standard with leading protocols like IoTivity. This, for example, allows the use of simple user interfaces to control the IoTivity-based smart home and EnOcean devices, including rule-based automation. Digital Concepts – IoT to IP with EnOcean: Digital Concepts develops individual control concepts for the Smart Home (control of all building services) and Smart Business (control of conference systems as well as building control technology for commercial applications), including the corresponding hardware and software. The solutions build a bridge between different standards and technologies for the integrated connectivity of disciplines and optimum comfort and functionality. One component is the Smart EnOcean Gateway (with WIFI and LTE), which connects the world of self-powered wireless technology with IP and thus integrates energy harvesting wireless solutions with the EnOcean wireless standards in expanded, scalable IoT systems, such as IBM Watson IoT, Apple® HomeKit™ or the Open Connectivity Foundation. As the highlight at the Light + Building 2018, Digital Concepts will demonstrate the connection between self-powered EnOcean devices, IBM Watson IoT and Apple® HomeKit™ to show how Siri® and Alexa work together to manage the Smart Home control system. JÄGER DIREKT – smart system for electric specialists: JÄGER DIREKT´s OPUS® greenNet system offers customers the option of adapting their solutions to their living arrangements, with the possibility of expanding them easily and continuously at any time. The system is based on a networkable basic installation, which can be implemented at no extra cost. The networkable electronic OPUS® BRiDGE switches lay the foundation for immediate or future networking. In the standard application, the OPUS® BRiDGE is wired and can also be controlled via the front panel via radio at any time. With further smart extensions, various switches or sensors can be networked to form an intelligent, intelligent system. The configuration of the individual components can be realized in advance by JÄGER DIRECT or the electrical specialist. The certified OPUS® greenNet components can be visualized and controlled centrally via smartphone or tablet. Creating your own scenes, rules and dependencies is easy (also at Booth D40 in Hall 9.0). NodOn® – flexible and maintenance-free smart home solutions: At Light + Building 2018, NodOn® will present its complete range of plug&play wireless and battery-less EnOcean smart home and smart building accessories. A new highlight is the Relay Switch 1 channel – dry contact, an ultra-small device which turns lights, heating system and garage door smart and remotely controllable. The Relay Switch 1 channel can be mounted without construction work; it works autonomously with any other battery-less EnOcean controller such as the NodOn Soft Remote, Wall Switch or Card Switch, or with a Home Automation Gateway. In addition, NodOn® will also present its Relay switch 2 channels for automatically controlling lighting systems. Another new product integrating the range is the Roller Shutter Module. This EnOcean wireless actuator will turn any shutter (roller shutter, venetian blind, garage gates, etc.) smart. The NodOn® smart home accessory range also includes solar-powered sensors (door/window, temperature, and humidity), smart plugs, battery-less wall switches and remotes. Whether it is to build a new home or to retrofit a room, NodOn® devices are easy to set up and maintenance free, helping to increase energy savings and comfort. BECKER-Antriebe – battery-less control of shutters and blinds: As a company specializing in drives and controllers for shutters, sunshields and doors, BECKER-Antriebe is now the first supplier to install the future-oriented EnOcean technology directly into a tubular drive and thereby make it even easier to use. The wireless actuators built into the drive itself make it possible to transmit absolute values and thus provide precise position values, which make exact drive control possible. The new Becker solution is also seamlessly integrated into the principle of interdisciplinary interoperability, and it supports both remote management and remote commissioning. Due to the bidirectional feedback of position and status, the drive can also be effortlessly integrated into the central home automation system. The new Becker tubular drive also earns points with sensitive obstacle detection, freeze prevention, intelligent installation management and many more functions. Combined with other EnOcean products, it thus provides ventilation and various alarm functions without an additional, higher-level control panel (also at Booth E17 in Hall 9.0). GRE Alpha – maintenance-free retrofit solution for LED lighting control: GRE Alpha´s ENO-DIM modules are designed to work with any EnOcean-certified wireless energy harvesting switch, any constant LED lighting system can now be retrofitted to EnOcean wireless technology and thus reduces time and cost. The ENO-DIM modules is being used in various appliations, such as architectural lighting, effect and contour lighting, general commercial illumination, warehouses, signage or strip lighting. While most smart lighting systems utilize the ISM (Industrial, Scientific, Medical) radio band, the ENO-DIM module uses EnOcean’s communication frequencies, allowing for noise-free near-instantaneous feedback. The ENO-DIM module supports frequencies of 902MHz in North America, 928MHz in Japan and 868MHz in Europe and China. Helvar – intelligent, user-friendly lighting solutions: Helvar is a world leader in lighting intelligence. The company designs open and most flexible solutions for installation, programming and usage making their high quality lighting control solutions quick to install, easy to adapt and always up-to-date. Helvar and its partners have over 3,000 years of combined experience in designing, manufacturing, supplying and supporting the world’s premier lighting solutions. Helvar supports its customers with its extensive expertise in consulting, design, implementation and service for lighting control solutions. At Light + Building, Helvar will be showcasing their newest products: ILLUSTRIS®POWER and the 321 Multisensor. ILLUSTRIS®POWER is a stylish, touch sensitive lighting control panel with a power supply. 321 Multisensor combines a photocell for constant light control and a passive infrared (PIR) presence detector to provide energy-saving functions in a DALI system. Micropelt – maintenance-free and comfortable individual room control: Under the brand Micropelt, EH4 GmbH presents a new generation of self-powered EnOcean wireless radiator thermostats (iTRV) to control heating units and building automation. The MVA series allows for different remote management functions, and ensures flexible planning processes with reduced installation requirements, particularly for large installations. The wireless radiator thermostat MVA005 allows local change of its target temperature. The integrated controller allows comfortable temperature control without the need for an external room temperature sensor. Automatic radio duty cycle increases based on flow pipe temperatures ensure quick actuator response and improved room temperature stability. Various remote management and configuration features allow over-the-air modification of actuator-internal settings even with unit is in operation. Electronic heating valve SmartValve by PM DM: Precision Motors Deutsche Minebea GmbH is the largest motor development center in the international network of the Japanese company MinebeaMitsumi Inc., Tokyo. Besides precision motors, PM DM also develops energy harvesting systems. At the Light + Building 2018, the company will be presenting its maintenance-free SmartValve, which functions without batteries or power supply. It provides itself with electrical energy through energy harvesting. SmartValve is controlled via EnOcean wireless standard. On request, the system can be optimally integrated into smart home solutions. The smartphone can act as a control center. Dolphin by EnOcean – Self-powered wireless sensor solutions for global applications: Dolphin is the EnOcean product family that consists of modules and components for energy harvesting wireless technology, and that allows product manufacturers to develop reliable and maintenance-free wireless sensor solutions for global use in building automation, Smart Homes, LED light control and industrial applications. EnOcean-based sensor solutions facilitate to generate reliable sensor data for intelligent buildings and the Internet of Things (IoT). With its extensive range of wireless modules, end products for product manufacturers and advisory services for building automation, EnOcean is the ideal partner for self-powered sensor solutions. A highlight at Light + Building 2018 will be the newest generation of line-powered transceiver modules: the TCM 515, which on the basis of increased computing power, lower power consumption and smaller form factor enables new applications for the EnOcean wireless standard and continues to strengthen the extensive EnOcean ecosystem (also at Booth C30 in Hall 4.1). ViCOS – Design-in for batteryless sensor solutions in buildings: At Light + Building 2018, ViCOS will present extensions of its product platforms ViACT for EnOcean actuator systems and ViSENS as well as ViNET and the portfolio of PROBARE test systems. These products are aimed at OEM companies that would like to launch EnOcean-based solutions onto the market under their own names or integrate them into their own systems. ViACT can be used to control lighting, shading and ventilation, while a smart phone app and a central management system can be added, depending on the application. What is new is that the ViACT platform now also offers a professional solution for the wireless two-pole switching of 16A in installation sockets. This unique feature is particularly interesting for the all-pole shutdown of external sockets and for electrical consumers with very high power consumption. Another highlight presented by ViCOS will be the new batteryless Smart Outdoor Sensor (SOS), which allows detecting temperature, humidity, brightness and wind speed and also provides warning of excessive values. The electronics of the SOS have been specially adapted for harsh environmental conditions. In addition to the well-known ViNET routing, ViCOS will be demonstrating its ViNET ConfigTool, which is the only available configuration tool for EnOcean products of different manufacturers. Decelect – System house with almost 50 years of experience: Decelect develops and produces customized components for energy, security and data applications for OEM customers. At the trade show, Decelect will present Ubiwizz solutions for house automation all the way to IoT systems. The Ubiwizz ecosystem is the collaboration result of several partner companies, offering to residential and tertiary markets, builders, estate developers, intergrators and installers. A complete and coherent offer allowing large equipment solutions, from the building infrastructure (copper, optical fiber and wireless) up to the quality of use and with automatic integration of intelligent connected objects.